Sage leaves die off during the winter and new leaves will grow in spring but most of the old leave do actually survive for a couple of weeks in a frozen state under the snow. The leaves do not fall off in fall. They are still on the plant under the snow and stay there frozen until the end of the winter. They do however degrade over time and become brown. 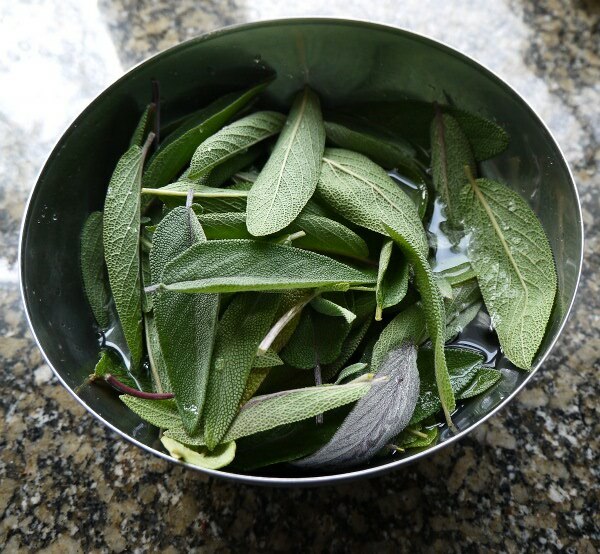 This allows you to harvest fresh frozen sage leaves during the cold winter days in Canada. I don't know if this works as well in warmer climates. In any case I get good quality leaves from under the snow until the beginning to mid January. At the end of January and in February they are still there under the snow but they become dry and brown. Those leave are great for teas, tincture and cough lozenges. Here is how I use them to make sage honey lozenges. Harvest the frozen leaves from the plants under the snow, let them defrost in a cold room and then wash them a bit with water. 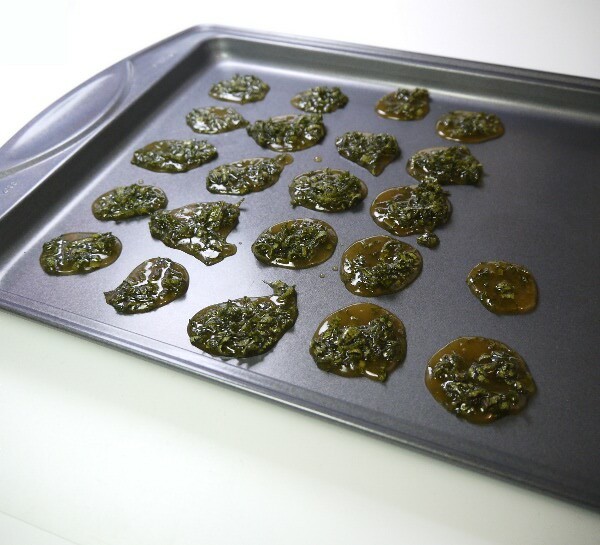 To make the lozenges I just cut the leaves in small pieces and mix them into hot honey and sugar. let them dry on a cold oven pan. Those lozenges are basically sugar and honey with some fresh herbs inside. You can keep them in the fidge for about a week or two. Fresh herbs will eventually catch mold and go bad. Don't make too big portions and just use them while they are fresh. Those lozenges are great during the winter. Note that concentrated amounts of sage such as the sage found in those lozenges are not save for pregnant women. Sage may end the pregnancy with miscarriage or premature labour.